The student so far has been using a simple system to know which string is which note. Now they will be moving that over to actual sheet music, so they don't get lost in the process. 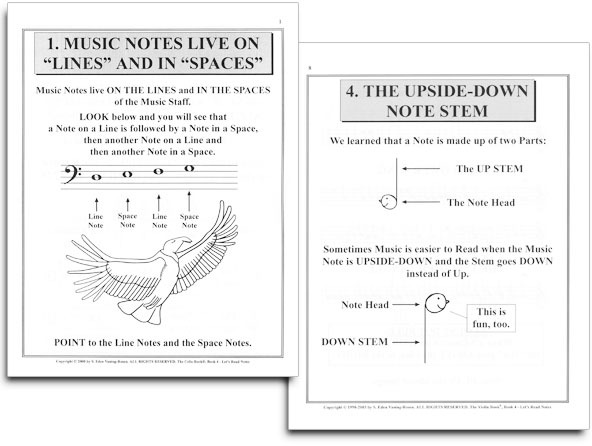 As they learn real music notation, they'll be picking up songs. What are the secrets to really playing in tune on the cello, and how do you practice this skill? The carefully evolved presentation of the material helps them to walk up to higher degrees of ability of cello playing, all the while enjoying and sharing their talent with others. 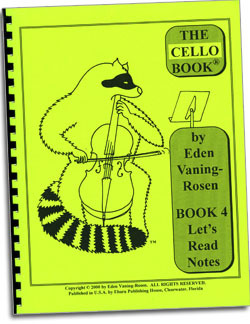 The wonderful world of music making on the cello unfolds beautifully for you with The Cello Book Series.